How are you living your life? Did you get up this morning expecting to do something important, or did you wake up weary, worried, and frustrated? 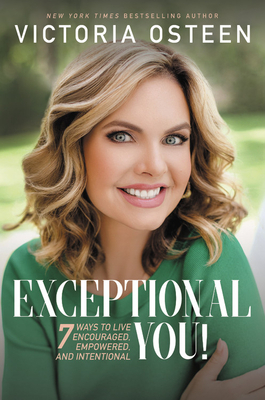 In her latest book, Exceptional You!, Victoria Osteen declares that God doesn't want you to drag through the day and avoid life's challenges. If you arm yourself with the knowledge that God is on your side, He will give you the ideas, the words, and the energy you need to make each day exceptional. Don't wait another minute to discover the exceptional you! Victoria Osteen is the co-pastor of Lakewood Church, the New York Times bestselling author of Love Your Life, and the host of a national weekly radio program, Victoria Osteen Live, on Sirius XM's Joel Osteen Radio. She is an integral part of each service at Lakewood as well as the "Night of Hope" events across the U.S. and abroad. She lives with her family in Houston, Texas.